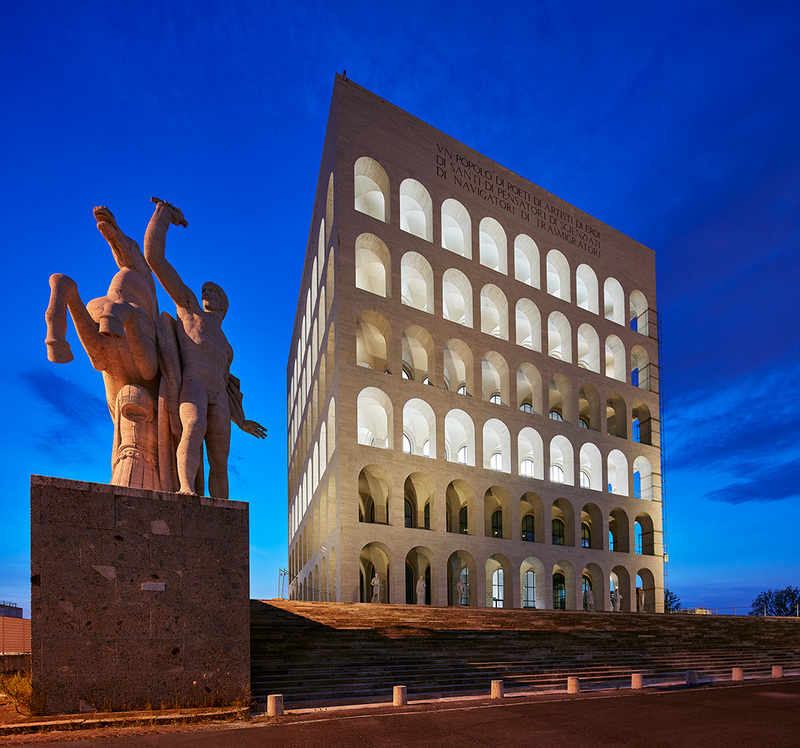 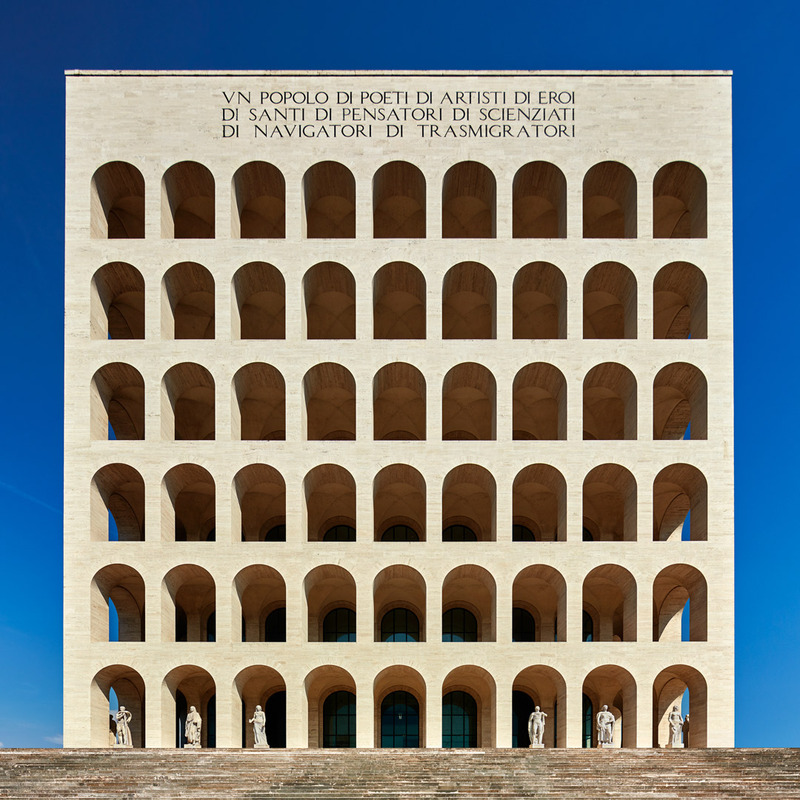 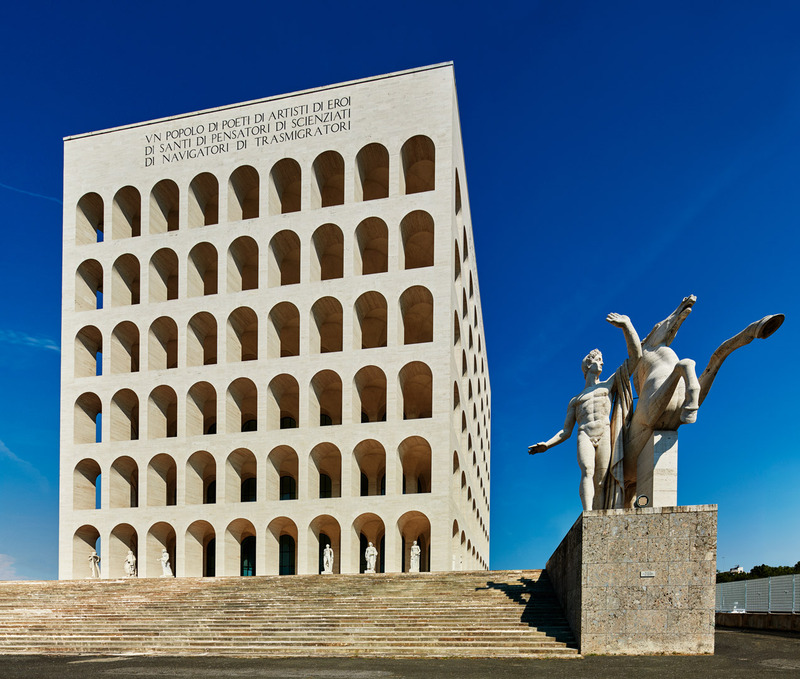 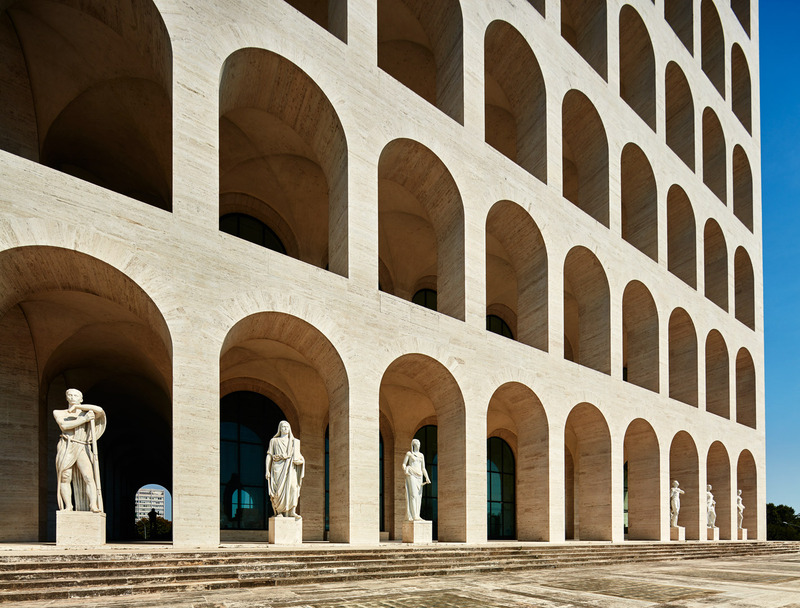 "Initiated by Benito Mussolini in 1935, the Palazzo della Civiltà Italiana was completed in 1943 and has been the property of the Italian state ever since. 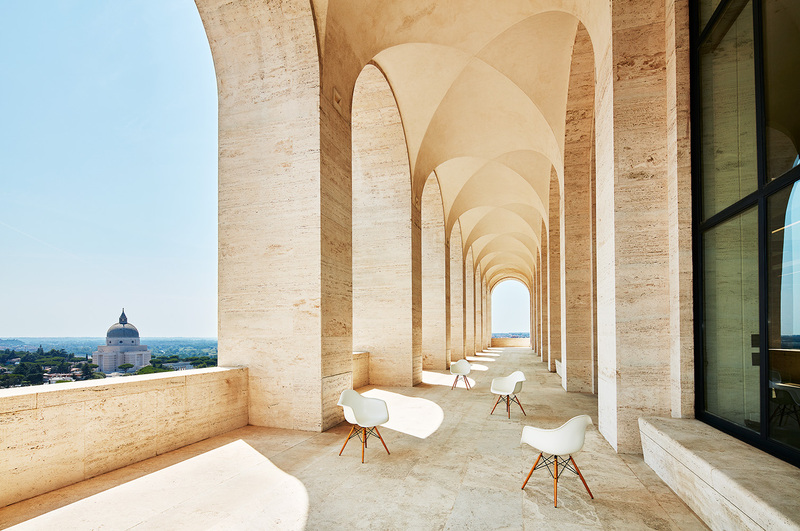 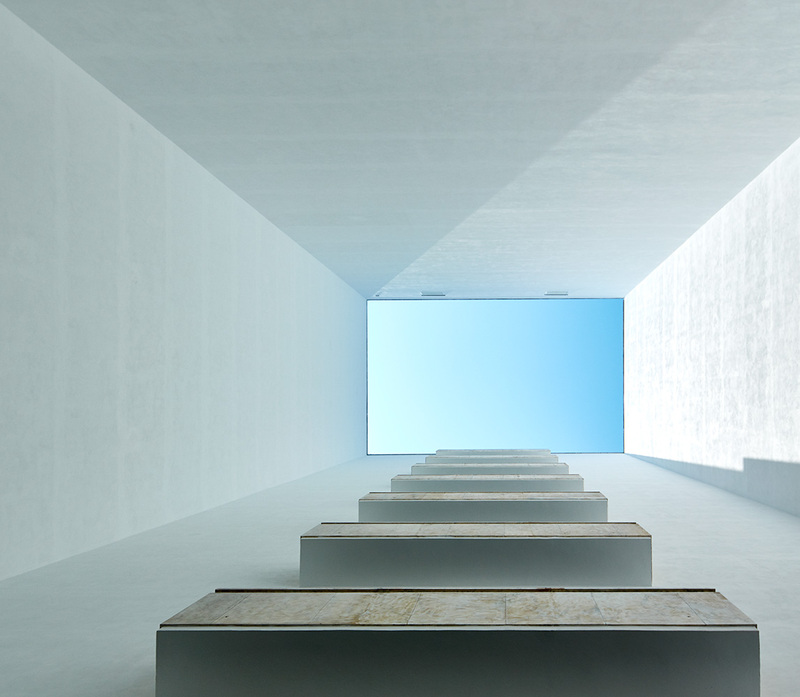 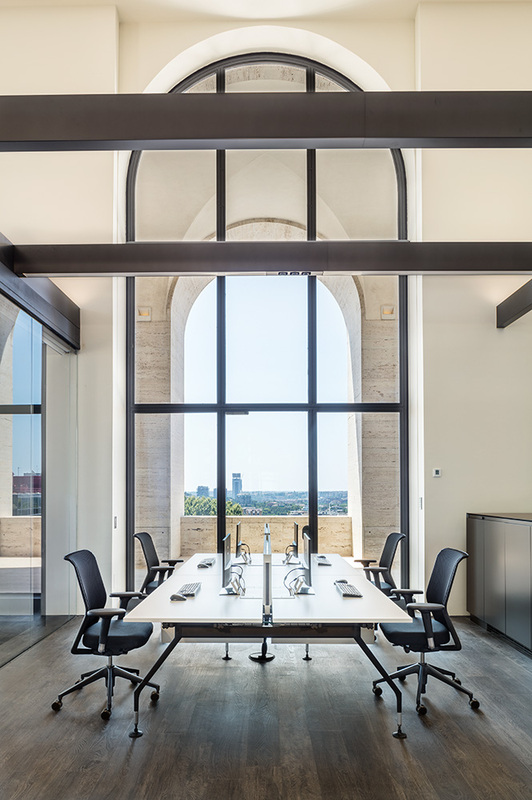 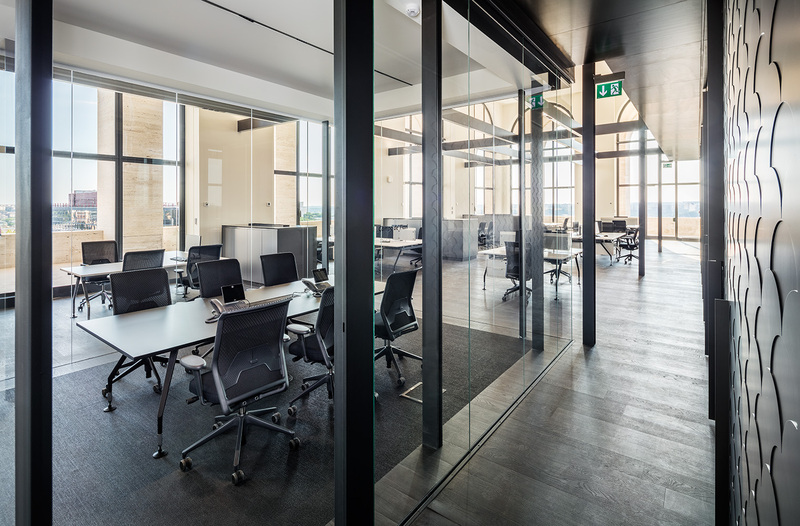 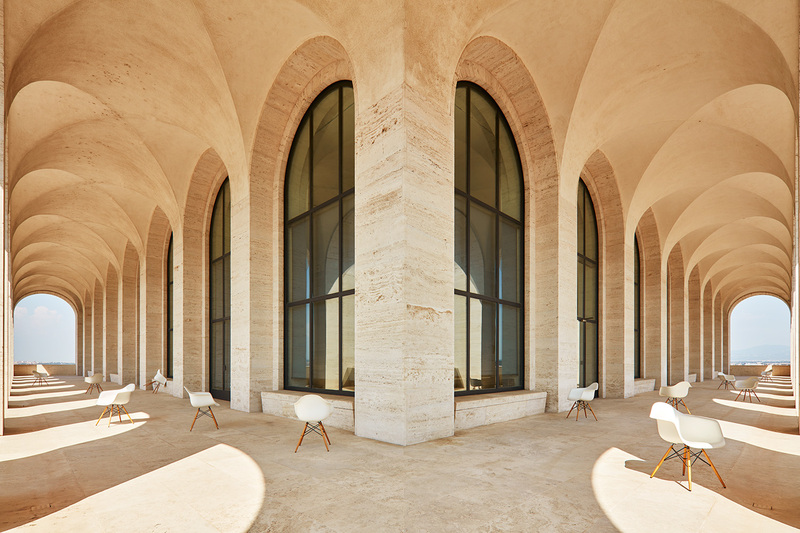 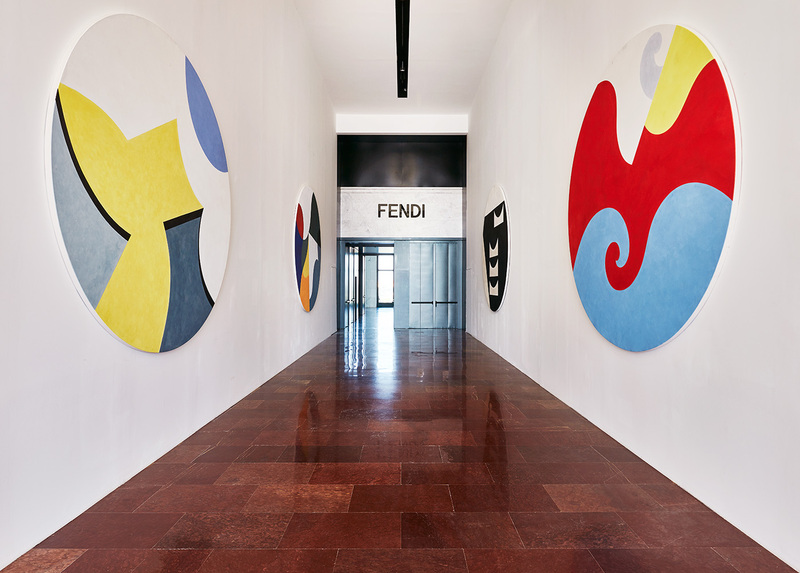 The new tenant, the international fashion brand Fendi, commissioned a spatial utilisation concept for its headquarters in this extensively renovated building. 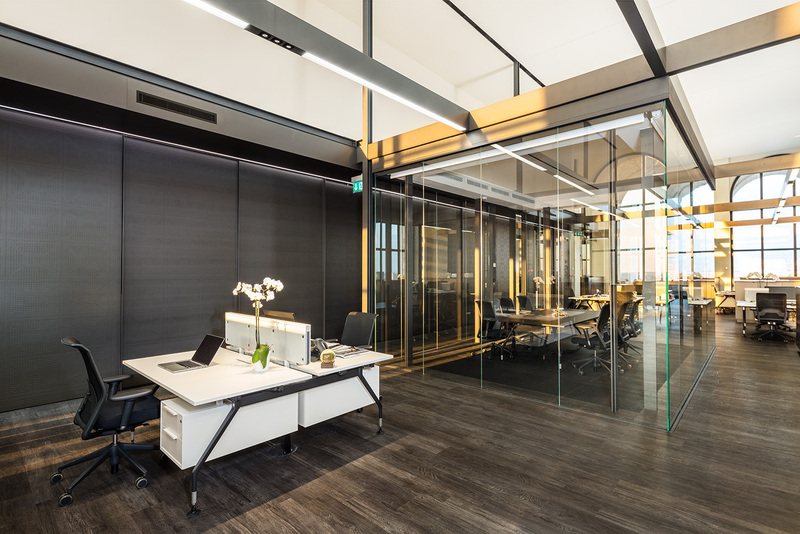 The planning concept also determined the specifications for the interior furnishings: they should be primarily based on the colour black, interact with the architecture and be of a quality to satisfy the exacting demands of the client. 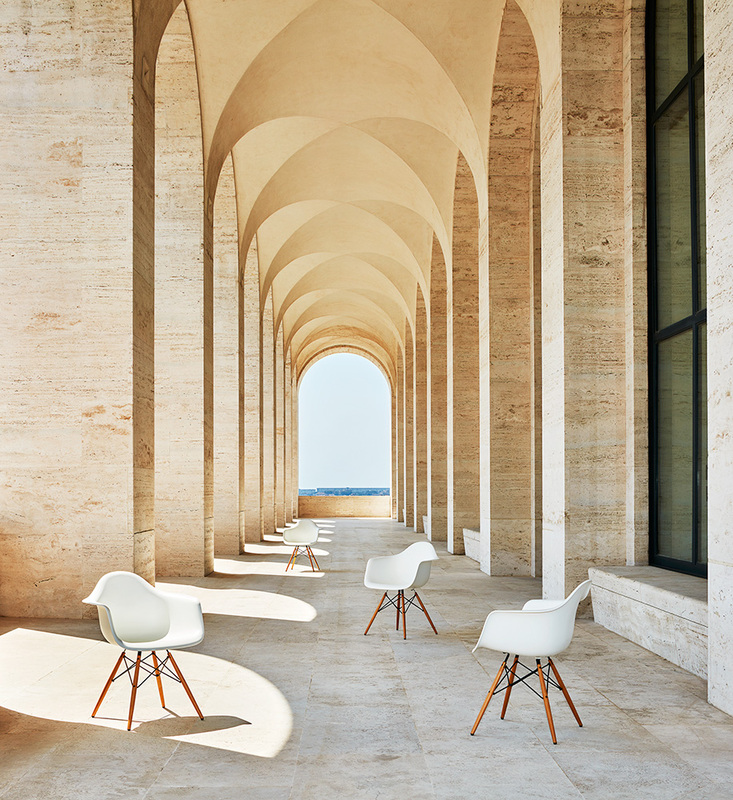 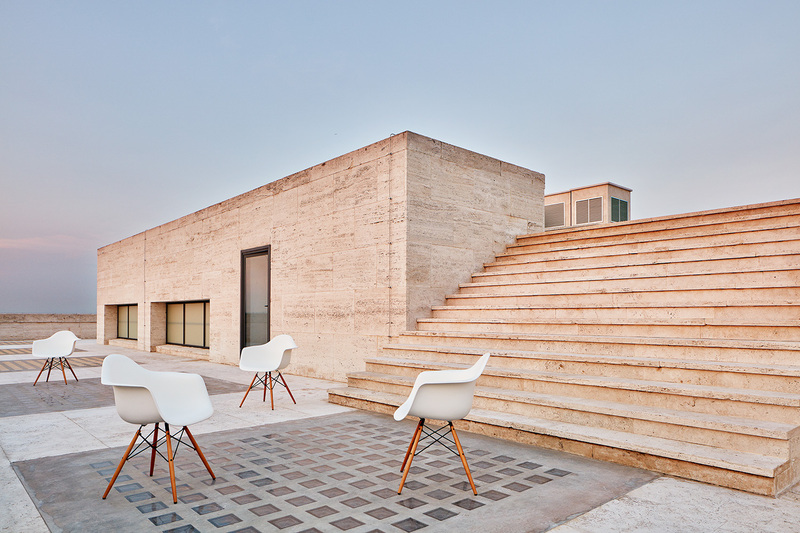 Vitra fulfilled these requirements in large part with standard products, some of which were custom fabricated in black. 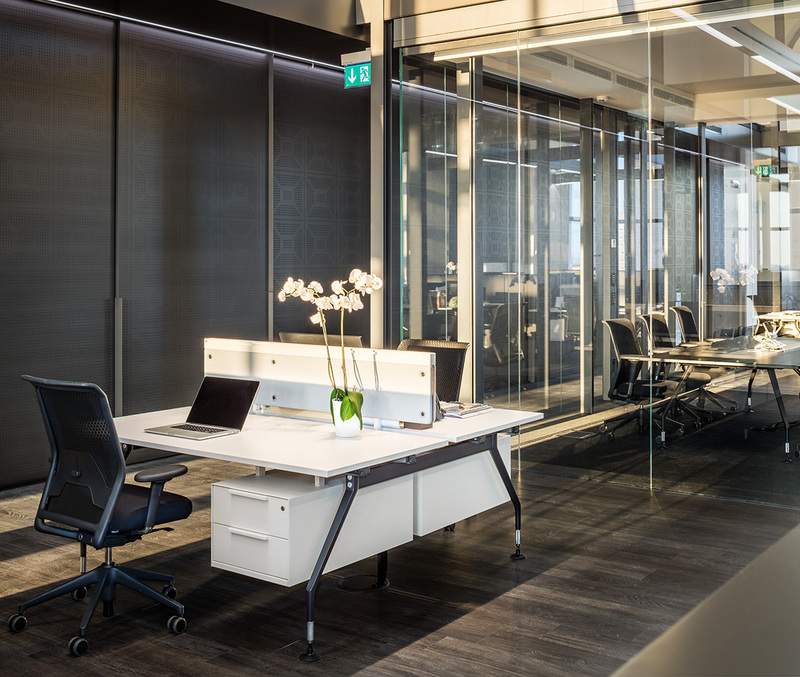 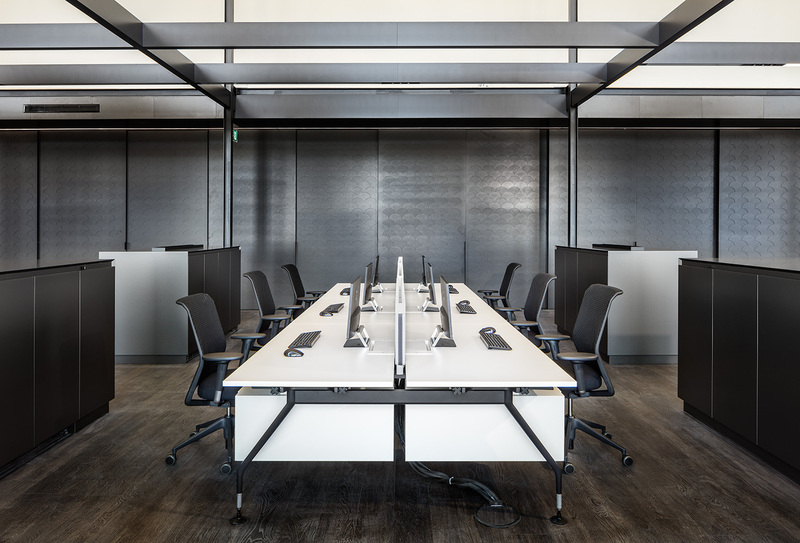 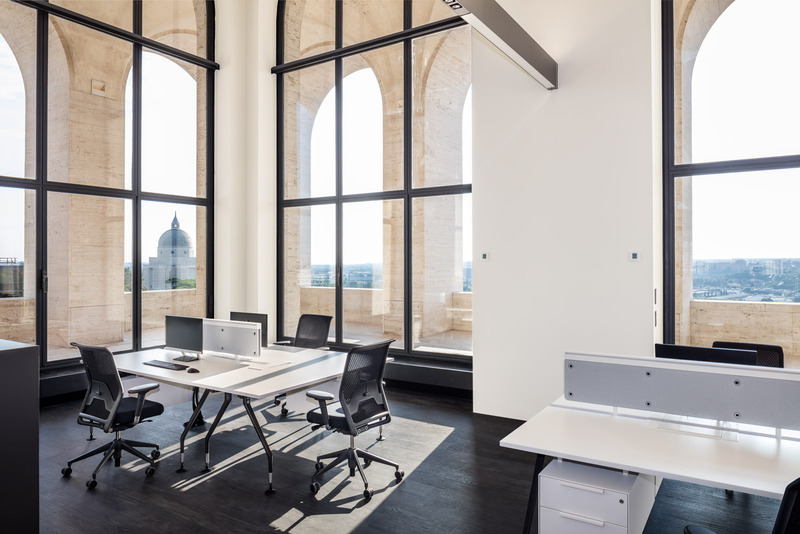 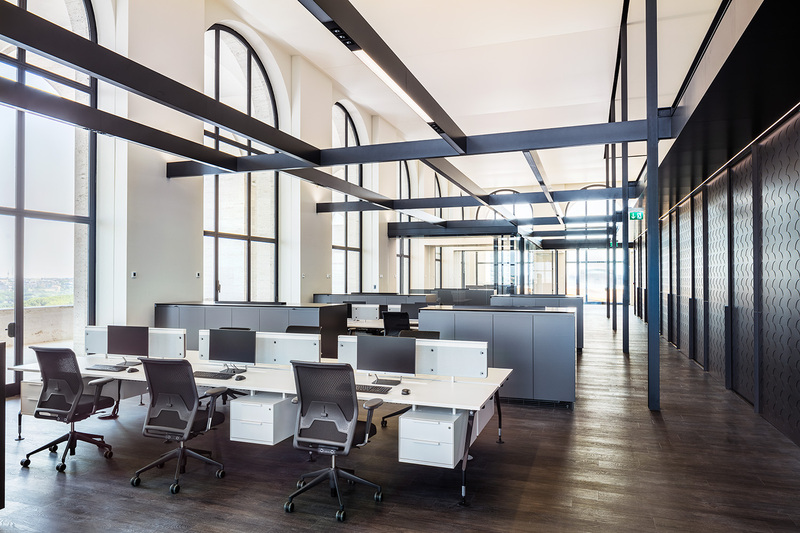 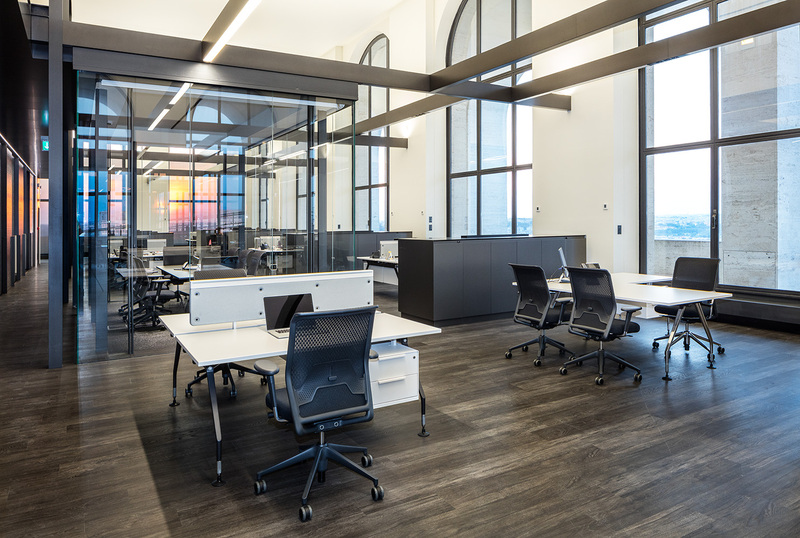 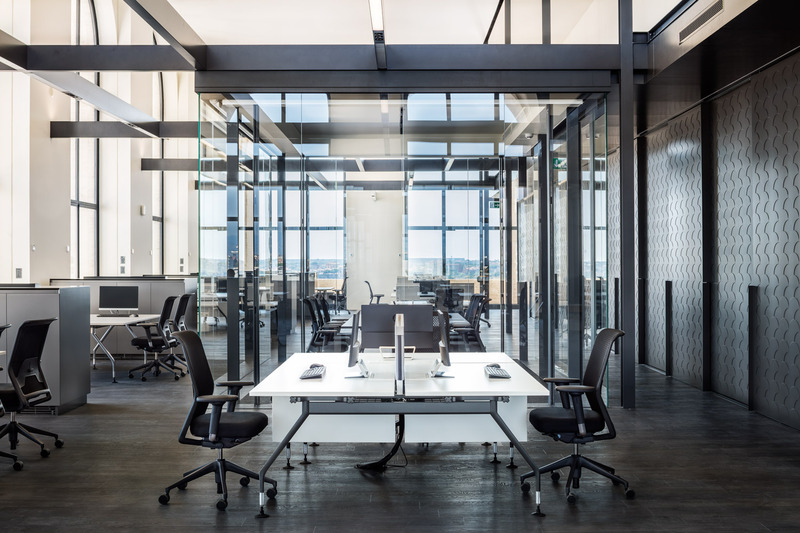 The result is an elegant and functional office furnishing scheme whose understated aesthetic defers to the building's architectural qualities, while simultaneously supporting the workflows and communication needs of the various divisions.